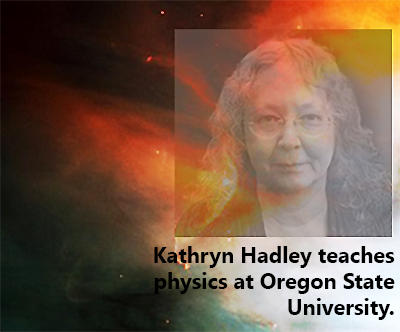 Kathryn Hadley PhD is teaching Astronomy on line and on campus courses at Oregon State University. Sign up for an Oregon State University Ecampus course. There are no specific prerequisites or corequisites, students should have a working knowledge of basic algebra. The courses in the astronomy sequence (PH 205, PH 206, PH 207) can be taken in any order. An accompanying laboratory includes outdoor observations and observational data and virtual experiments to develop an understanding of making hypotheses, organizing and presenting data, analysis and model construction. This on line class is an accredited Bacc Core Course, fulfilling the requirement for a science class with a lab. This course covers topics including: our place in the universe, exploring the night sky, characteristics of terrestrial and gas giant planets, asteroids, comets and minor planets, exoplanets, and solar system formation. 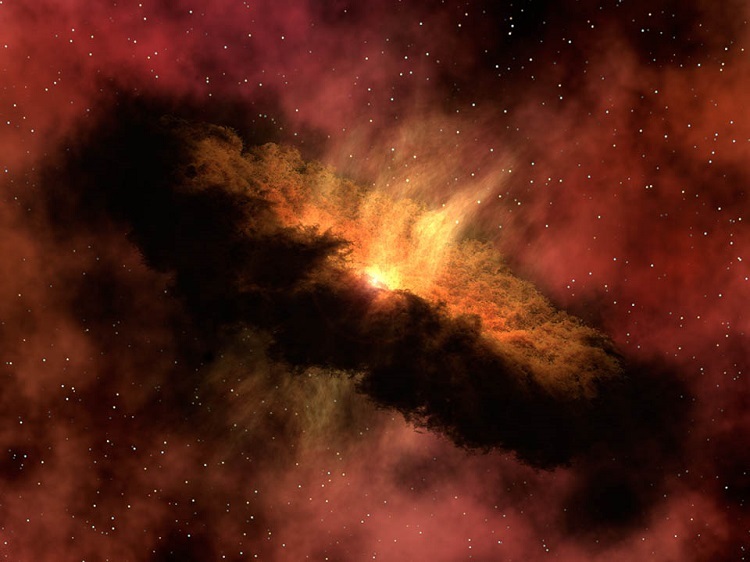 This course covers the properties of stars; star formation, evolution, and death; supernovae, pulsars, and black holes. We will study electromagnetic radiation and spectrsocopy as they pertain to observations. This course covers properties of galaxies, including our Milky Way, and galaxy evolution, including quasars and active galactic nuclei. We will study cosmology, including the big bang theory and observational evidence as well as evolution of the universe and large scale structure of the universe. My main research interest is in computational modeling of protoplanetary and protostellar star/disk systems. This time in history is a most fascinating time to be interested in astrophysics. Recent advances in our ability to make astronomical observations have opened up huge new realms of understanding. Coupled with this is an enormous increase in computational power and speed, that allows us to make calculations that were impossible just a few years ago. It is an exciting time to be an astrophysicist. In the 1980's people began serious work in modeling star/disk systems. The idea was that these systems could support instabilities that would cause the evolution of waves, much like the arms seen in spiral galaxies. The driving mechanisms of the instabilities are the gravitational potential, as well as pressure and rotational shear. Theorists painstakingly evolved the theory forward, including more and more realistic physics in the models, without ever having seen evidence of these structures until very recently. Another research interest involves astrophysical plasma shocks, also known as magnetohydrodynamical (MHD) shocks. Shocks arise when supersonic fluid impinges on subsonic fluid. In magnetic fluid, shocks are even more interesting and difficult to model because fast magnetosonic waves can travel faster than sound speed. This means that waves can propagate upstream in the preshock region, altering the flow. Plasma shocks can be found in many systems, such as the bow shock in ll Orionis.